The U.S. Army Corps of Engineers sided with Northwest tribes Monday in a decision to block the largest proposed bulk-shipping terminal in North America at Cherry Point. The Lummi Nation has prevailed in its fight to block the largest coal port ever proposed in North America, at Cherry Point. The U.S. Army Corps of Engineers, the agency reviewing permits for the deep water port project, agreed with the tribe Monday that it could not grant a permit for a project that would infringe on the Lummi Nation’s treaty-protected fishing rights. The 34-page decision was celebrated by community groups and tribes all over the Northwest that opposed the coal port. But legal experts said far from outlandish, the decisionfollowed federal obligation to protect tribal treaty rights and the habitat that makes those reserved rights meaningful. Lummi fishing rights and the associated habitat are property rights protected against interference by states, the federal government and private parties, Anderson noted. Tim Ballew II, chairman of the Lummi Indian Business Council called the decision “a big win for Lummi and for treaty rights and for Indian Country.” The tribe argued the project was a killer for its crab fishery and would thwart rebuilding the herring run that was once the prize of Puget Sound. The terminal would have brought some of the largest ships afloat into the usual and accustomed fishing waters of the Lummi up to 487 times a year to load and unload bulk commodities, principally coal, bound for Asian ports. 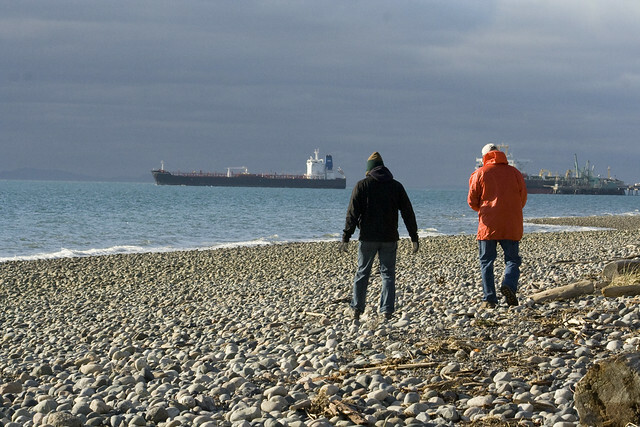 The project touched a nerve on both sides of the border among communities fighting coal and oil transport projects — none larger than the port proposed for Cherry Point, the last undeveloped bit of shore on a deep-water cove, between a smelter and two oil refineries. The Lummi fought the project from the start. The tribe was opposed not only to increased vessel traffic and risk of pollution from the project, but any disturbance of the site of one of its oldest and largest villages and burial grounds, upland from the proposed shipping terminal. Promises by the developer to minimize and scale back the landside footprint of the project did not interest the Lummi, who argued the project could not be mitigated. While SSA voiced shock at the decision, some industry analysts said it merely put a project that was never going to be economically viable out of its misery. “This is like cutting the head off a zombie; it stopped making economic sense years ago, and now it’s officially dead,” said Clark Williams-Derry, director of energy finance at the Sightline Institute in Seattle. With coal prices in a long slide and no recovery in sight, the project had no financial future, Williams-Derry said. “They have no market for the coal,” agreed Tom Sanzillow, based in New York as the director of finance for the Institute for Energy Economics and Financial Analysis, a nonprofit think tank. 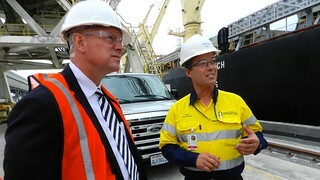 Coal-export projects are “wasting a lot of investor capital and people’s time,” he said. The campaign against the project was hard-fought and its foes implacable. Brian Cladoosby, president of the National Congress of American Indians and chairman of the Swinomish Indian Tribal Community in La Conner, called coal “black death,” and vowed tribes would fight the project to the end. Tribal opposition to the project from around the region was good news for citizens from Seattle to Bellingham and beyond, noted Cesia Kearns, based in Portland as deputy regional director of the Beyond Coal campaign for the Sierra Club. 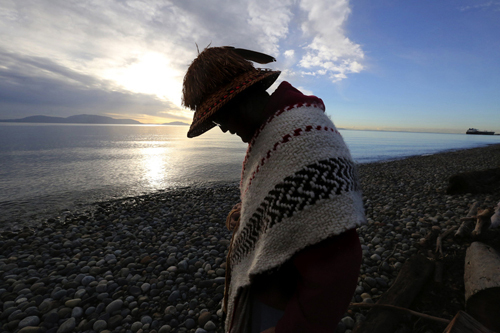 “Protecting treaty rights also protects everyone who calls the Salish Sea home. I feel just an incredible amount of gratitude,” she said. The decision was made by the Seattle District commander, Cmdr. Col. John Buck. If in the future the Lummi withdrew their opposition, SSA Marine can restart the permitting process, the corps noted. But Ballew made it clear that is not on the table. Map of the proposed project at Cherry Point in Washington, close to Lummi Nation sacred sites. Leaders and members of the Lummi Nation and other Washington State tribes opposed to coal terminals in the Pacific Northwest are bringing their concerns to the other Washington, the U.S. capital, on Thursday November 5. The Lummi have vociferously opposed the projects and have asked the U.S. Army Corps of Engineers to review and reject the proposal for a coal rail terminal at Cherry Point, the ancestral village site of Xwe’chi’eXen. The statement is signed by Lummi Nation Chair Tim Ballew II; Swinomish Indian Tribal Community Chair Brian Cladoosby (also president of the National Congress of American Indians, a post to which he was recently reelected); Lower Elwha Klallam Tribe Chair Frances Charles; Tulalip Nation Chair Melvin Sheldon Jr.; Yakima Nation Chair JoDe Goudy; Hoopa Valley Tribe Chair Ryan Jackson; Spokane Tribe Chair David Brown Eagle, and Quinault Tribe Vice President Tyson Johnston. Four of the dirtiest plants, which sit on Native American soil, were expecting more lenient goals under the Clean Power Plan, but the EPA shifted gears. The Navajo Generating Station is one of the country’s dirtiest power plants. Credit: Wikipedia. Four Western power plants that emit more carbon dioxide than the 20 fossil-fuel-fired plants in Massachusetts thought they would be getting a break under the Obama administration’s new carbon regulations––until the final rule ended up treating them just like all the other plants in the country. The plants are located on Native American reservations, and under an earlier proposal, they were required to reduce emissions by less than 5 percent. But the final version of the rule, released earlier this month, has set a reduction target of about 20 percent. 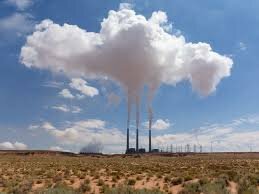 A majority of the reductions are to come from two mammoth coal plants on the Navajo reservation in Arizona and New Mexico—the Navajo Generating Station and the Four Corners Power Plant. They provide power to half a million homes and have been pinpointed by the Environmental Protection Agency as a major source of pollution––and a cause for reduced visibility in the Grand Canyon. These two plants alone emit more than 28 million tons of carbon dioxide each year, triple the emissions from facilities in Washington state, fueling a vicious cycle of drought and worsening climate change. The two other power plants are on the Fort Mojave Reservation in Arizona and the Uintah and Ouray Indian Reservation in Utah. Environmental groups have charged that the Navajo plants are responsible for premature deaths, hundreds of asthma attacks and hundreds of millions of dollars of annual health costs. The plants, which are owned by public utilities and the federal government, export a majority of the power out of the reservation to serve homes and businesses as far away as Las Vegas and help deliver Arizona’s share of the Colorado River water to Tucson and Phoenix. Meanwhile, a third of Navajo Nation residents remain without electricity in their homes. 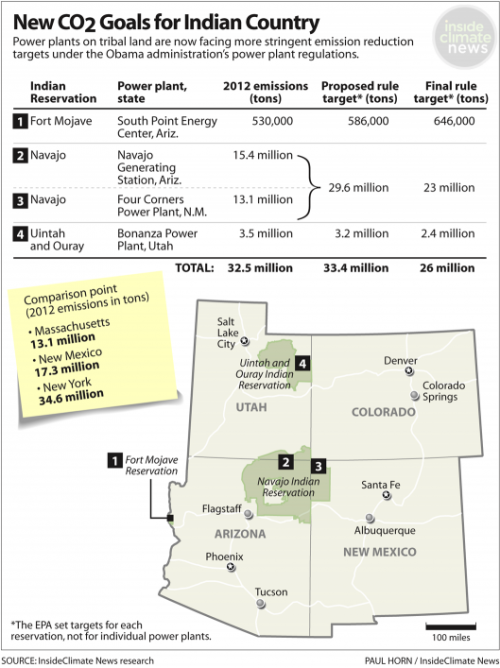 Tribal leaders contend that power plants on Indian land deserve special consideration. “The Navajo Nation is a uniquely disadvantaged people and their unique situation justified some accommodation,” Ben Shelly, president of the Navajo Nation, wrote in a letter to the EPA. He contends that the region’s underdeveloped economy, high unemployment rates and reliance on coal are the result of policies enacted by the federal government over several decades. If the coal plants decrease power production to meet emissions targets, Navajos will lose jobs and its government will receive less revenue, he said. Many local groups, however, disagree. Cooley’s Diné CARE and other grassroots groups say the Navajo leaders are not serving the best interest of the community. The Navajo lands have been mined for coal and uranium for decades, Cooley said, resulting in contamination of water sources and air pollution. She said it’s time to shift to new, less damaging power sources such as wind and solar. The Obama administration’s carbon regulations for power plants aim to reduce emissions nationwide 32 percent by 2030 from 2005 levels. In its final version of the rule, the EPA set uniform standards for all fossil-fueled power plants in the country. A coal plant on tribal land is now expected to achieve the same emissions reductions as a coal plant in Kentucky or New York, a move that the EPA sees as more equitable. The result is that coal plants on tribal lands—and in coal heavy states such as Kentucky and West Virginia—are facing much more stringent targets than they expected. The EPA has taken special efforts to ensure that the power plant rules don’t disproportionately affect minorities, including indigenous people. Because dirty power plants often exist in low-income communities, the EPA has laid out tools to assess how changes to the operation of the plants will affect emission levels in neighborhoods nearby. The EPA will also be assessing compliance plans to ensure the regulations do not increase air pollution in those communities. The tribes do not have an ownership stake in any of the facilities, but they are allowed to coordinate a plan to reduce emissions while minimizing the impact on their economies. Tribes that want to submit a compliance plan must first apply for treatment as a state. If the EPA doesn’t approve, or the tribes decide not to submit a plan, the EPA will impose one. 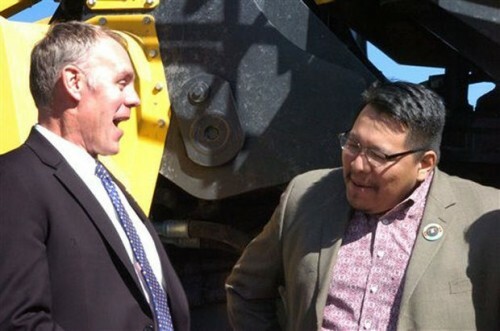 U.S. Rep. Ryan Zinke, left, laughs with Darrin Old Coyote, chairman of Montana’s Crow Tribe, during Thursday’s announcement in Billings of a proposal to make permanent a tax break for coal mined from reserves owned by American Indian tribes. Westmoreland Coal Company produced 6.5 million tons of coal last year from the Absaloka mine on the Crow’s southeastern Montana reservation. U.S. Rep. Ryan Zinke, R-Mont., is attempting to block federal government plans to increase royalties that companies pay for coal, oil and gas taken from public lands. Zinke, citing concerns about the coal economy and prosperity on Montana’s Crow Indian Reservation, proposed blocking funding to the U.S. Department of Interior, the agency charged with making sure the public receives a fair price for its coal. Interior has been working on a possible increase in royalties collected. Zinke’s proposal, introduced Tuesday night as an amendment to the Department of Interior budget, would prohibit DOI from continuing to spend money on its royalty work. His concern with DOI’s proposal is that it will discourage future coal mining. Battle lines over coal royalties in Montana were drawn months ago when the Department of Interior first suggested that Americans weren’t getting a fair price for coal mined from public land. Groups like Bozeman-based Headwaters Economics say the public has been shorted $850 million under the current royalty scheme. Those who believe coal companies aren’t paying a fair price for public coal say companies have created subsidiaries to sell coal to at low prices in order to keep royalty payments down. Rep. Betty McCollum, D-Minn., made that point Tuesday night, urging House lawmakers to reject Zinke’s amendment. McCollum said royalties need to be based not on sales to subsidiaries but rather independent buyers who pay considerably more for coal. This is particularly a concern when coal is sold for export, McCollum said. Currently, royalties are assessed when the coal is sold at the mine. That method works when coal companies are in fact selling to other companies, but sometimes the buyer at the mine gate is a subsidiary of the mining company. The coal company is essentially selling coal to itself, and its subsidiary ultimately resells the coal for a higher price. Asian buyers from Japan and South Korea don’t purchase coal at the mine gate but rather at Pacific Northwest seaports. The DOI would like to see royalties determined at the port sale. Coal companies counter that coal prices are higher at port because of the costs associated with delivering the coal from the Powder River Basin in Wyoming and Montana. A royalty based on that sales price would be a tax on the coal subsidiary’s transportation costs, as well. Interior officials would like to set the royalty amount by default if one can’t easily be determined. That proposal worries coal companies — and Zinke. Both say the default amounts will be too arbitrary and costly. Both Republican and Democratic officials from Wyoming and Montana have expressed concern about changing the current royalty scheme. Montana Gov. Steve Bullock, a Democrat, wrote Interior months ago about the risk of creating too much uncertainty by changing the royalty scheme. Lummi Nation, which has fished the waters off Cherry Point for centuries, and Crow Nation, a tribe in Montana sitting on billions of tons of coal, have taken opposite stances on a proposed coal terminal on the Lummis’ historic fishing grounds. Crow Chairman Darrin Old Coyote wrote the U.S. Army Corps of Engineers on Jan. 20, asking the federal agency to bring the two tribes together to discuss Gateway Pacific Terminal. The Crow letter was in response to request on Jan. 5 from Lummi Nation to the Corps, asking the agency to reject the terminal because it interfered with the Lummis’ ancient fishing practices, which were reinforced in U.S. law by an 1855 treaty. The terminal is currently under environmental review. “We are concerned about recent news reports that Lummi is asking the (Corps) to stop the environmental review process based on perceived impacts to their treaty fishing rights,” Old Coyote wrote. In its response, dated March 10, the Corps said it would not organize meetings between the tribes. The agency suggested the Crow ask the Bureau of Indian Affairs. “The Corps wouldn’t be the appropriate agency to facilitate such a meeting,” Corps spokeswoman Patricia Graesser said on Friday, March 20, in an email to The Bellingham Herald. Leaders at Crow Nation were not available for comment on Friday. The Corps said it would meet a different request from the Crow, to keep the tribe informed about the Corps’ review of Gateway Pacific Terminal and to include in that review, when appropriate, the Montana tribe’s position. 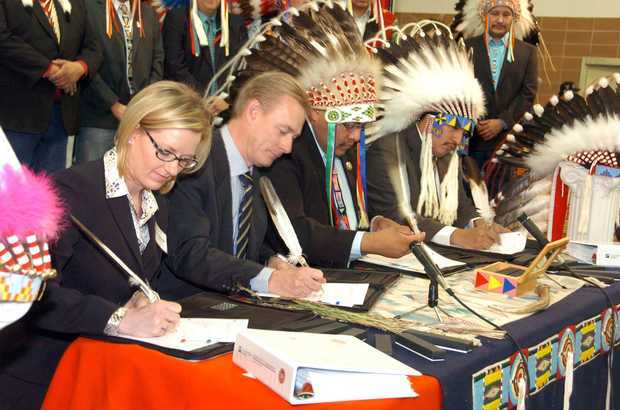 What’s at stake for Crow Nation is the 2013 agreement between the tribe and Cloud Peak Energy that would allow the mining company to extract 1.4 billion tons of coal from Crow land. The deal has already enriched the Crow by at least $3.75 million and would be worth millions of dollars more, depending on the amount of coal mined. 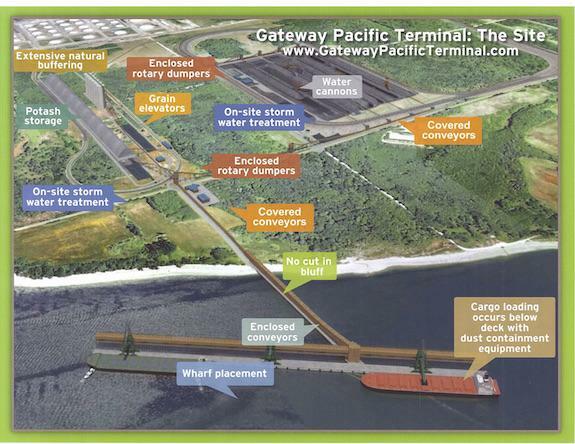 That, in turn, could depend on whether Gateway Pacific Terminal is built. 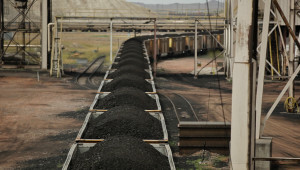 Coal that would pass through the Cherry Point terminal would come from Montana and Wyoming. “The Gateway Pacific Terminal project will ensure access to markets for Crow coal,” the tribal chairman’s letter said. Old Coyote has said in media reports that two-thirds of the Crow’s budget comes from coal revenue. The Lummis have hosted the Crow at Cherry Point and have told the Montana tribe about the anticipated disruptions to Puget Sound fishing areas, Lummi Chairman Tim Ballew said. The Lummis on March 5 sent the Corps details about the tribe’s fishing practices in response to a request from the Corps for more information, to support the tribe’s Jan. 5 request that the coal terminal be stopped. Ballew said Thursday the tribe had not yet heard back from the Corps. SEATTLE (AP) – Greenhouse gas emissions in Washington state dropped by about 4.6 percent between 2010 and 2011, led by reductions in emissions from the electricity sector, a new state report shows. The latest data shows that about 91.7 million metric tons of carbon dioxide or its equivalent was released in 2011, compared to about 96.1 million metric tons the year before. Emissions are on a downward trend, but still about 4 percent higher than in 1990. The report comes as Gov. Jay Inslee is proposing sweeping policies to combat climate change, including a cap-and-trade program that would charge large industrial polluters for each metric ton of emissions they release. Republican lawmakers say the cap-and-trade program would raise gas prices and hurt businesses and consumers. They say the state is already a low-carbon producing state because of its extensive hydropower, and that there are other, cheaper ways to reduce carbon pollution. The state’s emissions have fluctuated each year, but overall have decreased since 2007, according to the inventory, which the Department of Ecology posted on its website last week. The agency is required to complete the report every two years. The decline between 2007 and 2011 is due to actions the state has taken to reduce emissions, including requiring major utilities get a portion of their energy from renewable sources, said Hedia Adelsman, special assistant to Ecology Director Maia Bellon. She noted that the state’s carbon emissions have grown from 1990 levels, when the state released about 88.4 million metric tons of carbon. A state law requires Washington to reduce overall emissions to 1990 levels by 2020, make a 25 percent cut in 1990 levels by 2035, and make greater reductions by 2050. According to the report, yearly fluctuation is due in large part to changes in the state’s production of hydroelectricity. A drought in 2010, for example, led to lower hydropower output that year, requiring utilities to buy more coal and natural gas power that release more carbon emissions than hydropower. In 2010, hydropower was running 60 percent, compared to about 73 percent in 2011. Transportation made up the largest chunk of emissions with about 46 percent of the state’s emission, or roughly 42 million metric tons in 2011. On a per person basis, the state produces slightly less emission from on-road gasoline than the national average. Treaty fishing rights give Northwest tribes extra clout when it comes to the future of proposed coal terminals on the Columbia River and Puget Sound. That’s not lost on the governor of Wyoming, a big proponent of coal exports. Gov. Matt Mead is inviting Northwest tribal leaders on an all-expenses-paid trip to coal country in Northeastern Wyoming, according to an email obtained by EarthFix. The governor’s invitation went out to tribes in Oregon and Washington, including the Umatilla, Yakama, Swinomish and the Lummi. Tribes have been vocal critics of coal exports in the Northwest, and their treaty fishing rights give them unique power to stop terminal developments. It’s unclear whether the free trip to Wyoming is intended to change their stance. The two-day tour would visit one of the largest coal mines in the world, a power plant and rail operations, according to a Sept. 25 email sent by Loyd Drain, executive director of the Wyoming Infrastructure Authority. And the state of Wyoming would pick up the tab. 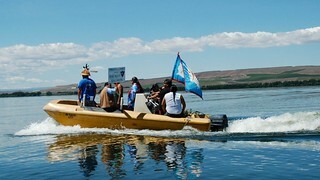 Yakama fishers protest coal exports. Credit: Courtney Flatt. “The Wyoming Infrastructure Authority, an instrumentality of the state of Wyoming, would be pleased to provide for the cost of airfare; lodging; transportation in Wyoming; and meals,” Drain wrote in one of the emails. Drain did not respond to requests for comment. Chuck Sams, spokesman for the Confederated Tribes of the Umatilla Indian Reservation, said the chairman of his tribal council, Gary Burke, received an invitation last week but hasn’t decided whether he will accept. 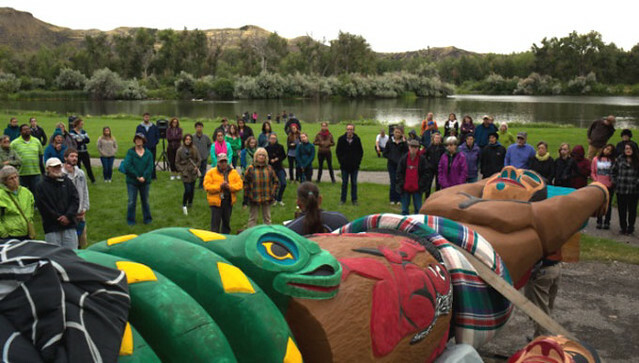 Earlier this year, the Umatilla and several other tribes argued successfully that a proposed coal export project on the Columbia River would interfere with their tribal fishing rights. The state of Oregon denied a permit needed to build a dock for the Morrow Pacific project in part because tribal members say they fish at the proposed dock site. Mead visited another proposed coal export terminal site in Longview, Washington, earlier this year to show his support for the project and tour the facility. The Millennium Bulk Terminals project would export up to 44 million tons of coal a year from Wyoming and Montana to Asia. Wyoming produces around 400 million tons of coal a year. With the U.S. tightening regulations for coal-fired power plants, Mead said he sees exports as a key part of the coal industry’s future. The Powder River Basin coal reserves of Wyoming and Montana are partly located on tribal land. The Crow Nation signed a deal with Cloud Peak Energy, giving that company the option to mine up to 1.4 billion tons of Crow coal. Some of the coal mined there would be exported through terminals proposed to be built in Washington. The move pits the Crow against tribes in the Northwest, which oppose coal exports. 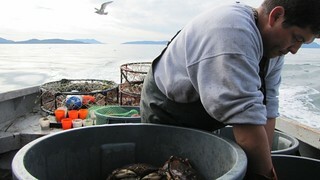 Lummi fisherman catching crab. Credit: Ashley Ahearn. As for the all-expenses-paid trip to Wyoming coal country, Timothy Ballew, tribal chairman of the Lummi Nation, whose lands are adjacent to the site of the proposed Gateway Pacific Terminal, said he will not be attending. Will More Coal, Oil Trains Rumble Through Northwest? PHOTO: Eleven oil-by-rail projects have been proposed for the Northwest since 2012. This car, known as a DOT-111, is the type that carries Bakken crude oil. Photo courtesy U.S. Pipeline and Hazardous Materials Safety Administration. SEATTLE – About two dozen projects have been proposed in the past two years to move the Northwest toward becoming a transportation hub for coal, oil and gas to Asia. 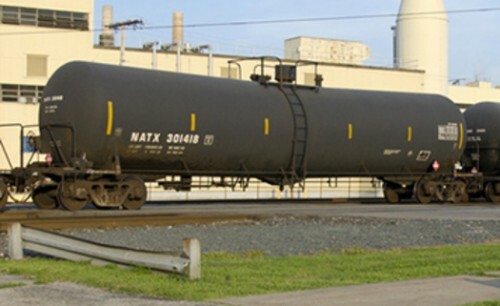 A new Sightline Institute report examines the combination of rail, pipeline and fuel terminal proposals across Washington, Oregon and British Columbia. Report author Eric de Place, Sightline’s policy director, said public input is critical as local land-use agencies determine the fate of each project. Regionally, he said, he thinks Native American voices also will be important. Last week’s meeting of the Affiliated Tribes of Northwest Indians included a three-hour workshop on climate change. Last year, the coalition of 72 tribes passed a resolution opposing the transport and export of fossil fuels in the Northwest. Deborah Parker, a council member of the Tulalip Tribes, said they are prepared to do more. For the most part, she said, the tribes haven’t been convinced that the job potential of the coal, oil and gas projects is significant enough to offset the damage to land, fish and wildlife. 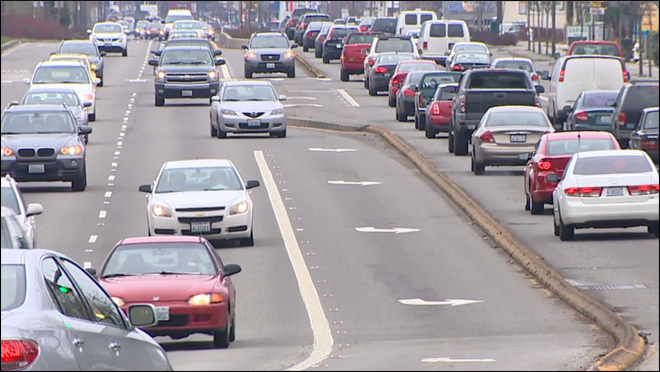 Estimates in the Sightline Institute report indicate that Washington’s ambitious plan for reducing carbon pollution can be tossed if all the fuel-transport proposals are approved. De Place said the changes would increase the Northwest’s carbon footprint by three to five times. The Sightline Institute report is online at sightline.org.